Urge the Wildlife trust to seek out alternative methods to save and protect the Red Squirrels, a method that does not involve the destruction of the Grey Squirrels by bludgeoning them to their death! Wildlife Trusts' biggest-ever recruitment drive will see volunteers bludgeon grey squirrels to death. An army of 5,000 volunteers is being sought to save the red squirrel from extinction by monitoring populations, educating children - and bludgeoning grey squirrels to death. The Wildlife Trusts' planned cull is focused on areas of northern England, north Wales and Northern Ireland where grey squirrels first introduced by the Victorians are being blamed for the retreating red squirrel population. 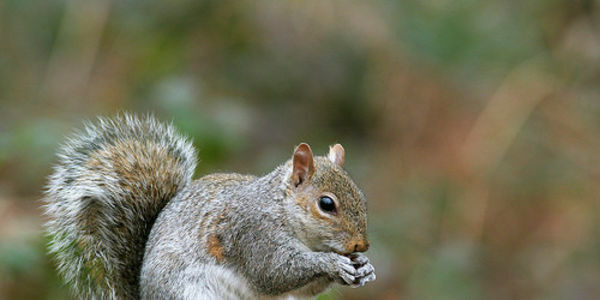 However, many ecologists say that loss of habitat and other human activities are the primary cause of the loss of red squirrels, and not the presence of grey squirrels. With more than 2.5 million grey squirrels in England and Scotland, it will be impossible to kill all of them - as any killed will be replaced when the remaining ones breed. A cull would be a never-ending task of pointless cruelty. Examples where culls have "worked" elsewhere are only on much smaller islands - which are not comparable to the British mainland. There are alternative options to help the red squirrels such as habitat regeneration. This is what the Wildlife Trust needs to focus on. Join me in saying NO to the grey squirrel cull! In March 2017 I met with the Wildlife Trusts HQ to discuss their abhorrent squirrel cull. The meeting went well and they agreed with some points that I raised. They promised to look at alternative methods of helping red squirrels with the scientists at the Wildlife Trusts. However, we have had no further progress since the meeting. As such I will deliver my Care2 petition alongside Animal Aid in September, to urge an immediate end to Wildlife Trusts' grey squirrel cull.